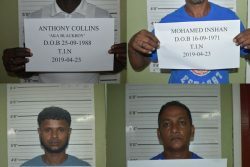 The Mahaica/Mahaicony/Abary-Agricultural Development Authority (MMA-ADA) was on Thursday accused by West Berbice farmers of illegally leasing their lands to other people. Lloyd Moore, of Seafield Village, West Coast Berbice, and Joylyn Nicholson, of Number 40 Village, West Coast Berbice, who appeared before the Commission of Inquiry (CoI) into ancestral land issues, have won court battles against the MMA-ADA over the situation. Moore told the CoI that the residents of Seafield had occupied the land there for over 200 years, undisturbed. They were, however, never individual title holders as the surveyor had never completed the task of charting the land. He related that Seafield had never been regarded as state lands and noted that in the 1970s, when the MMA distributed land in 30-acre parcels, Seafield was not included in the exercise. 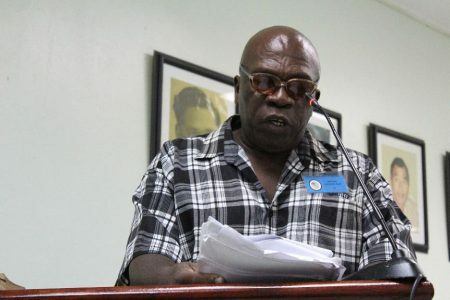 Moore testified that in March of 2014, members of the Seafield Land Cooperative Society, for which he is Secretary, were invited to the office of the MMA-ADA, where they were told that they owed about $11 million to the organisation. He said that though they did not believe this to be correct, they went on to begin payment of the debt, and so paid $8 million to the MMA-ADA. 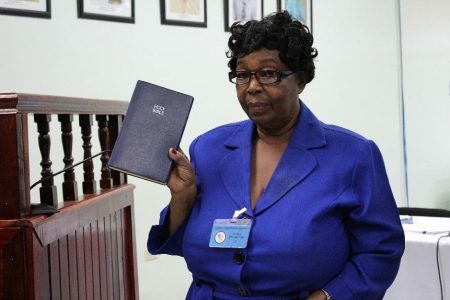 However, in June of that year, the Society would come across a notice published in the Stabroek News inviting persons to attend a meeting concerning the regularisation of state lands. Moore noted that up until this time, the last interaction they had had with the organisation was in March, when they were told of the monies owed. “So when we saw this notice in the Stabroek newspaper, we were shocked. And we realised that it seems like this is like a cowboy state,” Moore stated. He related that at that meeting, the Chairman of the MMA-ADA Rudolph Gajraj related to those present that they could make applications for the lands advertised in the notice, which included the lands owed by the Society. They would pay $28,000 per acre. “Whatever payments, especially [drainage and irrigation] charges, I think… it’s covered under the law—it is not done willy-nilly. The rates at the time was $1,673 per acre per year. And more so, why I said it was an invented figure, the MMA was burnt down in 2001. In 1999 to 2000, you ask them for any record concerning any payment, they have none to show. That is why I attached a payment to show in 1998 we paid the MMA more than a million dollars…they have no record, none. Not one to show of any payment,” he added. He opined that the management of the MMA-ADA “invented” the figure to put the lands out of the reach of the members of the Co-op society. “We understand first they said we owe $11 million plus. They realised that we are now actually about to pay the money out, so there’s a new thing—$28,000 per acre. Mind you, our ancestors purchased these lands, lest, the Honourable Durham (a surveyor that was cited earlier) could not have been authorised under Providence 16 of 1926 for the partition and re-allotment of Plantation Seafield. So Mr Gajraj trying a thing. He’s saying $28,000 per acre and he could not guarantee the members of the Co-op that they’ll get back the lands that they paid for,” Moore further said. He explained that they proceeded to have an order filed against the MMA-ADA which prevented it from following through with their plans to lease the land until the matter was concluded. However, Moore stated that they would override this and proceed to lease the lands to individuals, including members of the Society. He said that the case was that the MMA-ADA granted a licence to one person to occupy 102 acres of land, and another 46 acres, while others were given only 5 and 10 acre plots. He explained that in this way, other land holders were forced to “align” and have joint ventures with the holder of the larger plot. Moore said, however, that on July 20, 2015, Justice Diane Insanally ruled and made an order absolute that the MMA-ADA could not classify their land as state lands, nor issue it to others. He related that they have approached the Lands and Surveys Commission for assistance, but his appeal to the CoI was for help in having the lands which they owned to be converted to a “land registration area” and for individual transports to be granted to the members of the Seafield Land Cooperative Society for the land holdings they already possess. “Since we are very grateful that this government has provision to provide a commission, especially concerning ancestral lands, we seize the opportunity, because we feel this was god-sent. To help to right the injustice that was perpetrated upon us, and the co-op, where persons in positions who were supposed to uphold the laws of the land was fragrantly disregarding it,” Moore asserted. The circumstances in Nicholson’s case were very similar. 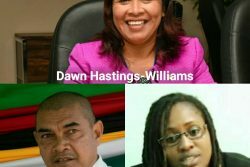 Nicholson stated that on August 8, this year, the Chief Justice ruled in the favour of her and another land holder against the cancellation of their leases by President David Granger. She said at the beginning of her testimony that the matter involved 15 farmers, the MMA-ADA, and the Attorney General. Having gained favour with the court, Nicholson said she was awarded $300,000. The witness recalled that in September 2015, there was a notice in the newspapers that the leases to the lands were cancelled and when they visited the MMA-ADA the next week, they were “shabbily” treated. She said that after waiting hours, they were advised to write a letter relating their circumstances, which she did then and there, before leaving. Nicholson stated that the MMA-ADA invited a group of persons to occupy the lands that they had leases for. She said that these persons came with improvised weapons, and ran many of the farmers off of their lands. Attempts were made to garner the assistance of the Minister of State in the matter but this proved futile. Nicholson said that of all the persons they engaged, it was only the Regional Executive Officer who gave them an ear. Nevertheless, the matter was taken to the court, and the witness related that on August 8, the Chief Justice ruled in favour of herself and another land holder. She related that she has not yet received a written ruling, but said a notice was published in the newspapers. 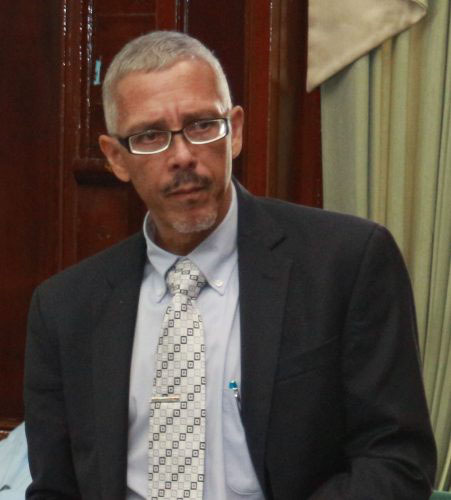 Nicholson said that while there are actually 15 farmers involved in the matter, the others could not afford the cost of pursuing the matter. Her plea to the CoI, therefore, was that the judgement be extended to the other persons who have an interest in the matter. She did note, though, that the persons who are in possession of the land which was leased by the MMA-ADA, apparently have a letter stating that they have permission to occupy the properties until 2018. “We would also like to know, what is the MMA doing—because they ignored us for two years—about this letter that the defunct co-op has to occupy our lands until January, 2018. I can just imagine what will happen next week when we go to do that and they turn up with their band of people that they hire…,” Nicholson said, alluding to the improvised weapons they reportedly carry around. “We must have dialogue,” the witness emphasised. “We’re a humble, peaceful, person, and all we would like is for the MMA—we must have dialogue. They have to meet with us, we have to know whether they have told these people to back off…the time this issue started—I’m an Anglican, and I’ve been praying at the altar of St Jude’s for a peaceful resolution over the past two years, since this issue started. Because people could have died,” she added. Among Nicholson’s requests to the CoI were for the $300,000 she was awarded be put towards her account for drainage and irrigation charges, rather than have it being paid directly to her; that the MMA accept the rates and taxes being offered by them, as she said that they have refused such, given that they granted the lands to other people; that farmers be compensated by those who would have worked their land without paying rent; and that the permission granted to those persons to occupy the land of the lease holders be withdrawn.